Phobias are a type of anxiety disorder, in which symptoms are provoked by a specific object/substance/situation – either coming into contact with it or just thinking about it. A simple phobia is specific to one type of object or situation, a complex phobia goes much deeper and is usually provoked by particular circumstances. Quite often, someone may not realise they have a phobia until they experience a panic reaction when faced with the object of their phobia. Phobias don’t have a single cause in common. They might be the result of a trauma associated with an object, or could be a result of being brought up by a parent with the phobia. In general terms, fear is the response to a genuine threat. A phobia is characterised by being an irrational response to something that is not genuinely threatening. Too many to list! Some you may have heard of include claustrophobia (confined spaces/inability to escape a confined space), arachnophobia (spiders), coulrophobia (clowns), trypanophoba (needles/injections) and emetophobia (vomiting/vomit). Self-help books and relaxation techniques (such as breathing in for 7 seconds, holding, then breathing out for 11 seconds) can be very helpful in easing symptoms. There may also be support groups locally – either focussed on your phobia specifically or for people with anxiety disorders in general. You may also want to try CBT or other talking therapy, if your phobia is interfering seriously with your life and causing you distress. If you would like an appointment, please contact me. Panic or anxiety attacks can be very frightening, and isolating for the person who has them. This can end up causing more such attacks as the anxiety of having an attack builds upon the initial fear. Unlike the way panic attacks are portrayed in film and TV, not everyone gets the same symptoms. You may get the fast-beating heart and shortness of breath, might be overwhelmed with a feeling of doom, or may find your body temperature fluctuates quickly. You might even experience panic attacks as sudden “nit-pickiness” or intense irritability. Whatever your symptoms are, recognising them as they begin is an important step towards managing your panic attacks. The good news is, there are ways to take control of your panic attacks – not just while they are happening, but also as prevention. This article has excellent suggestions for how to manage panic attacks – both during attacks and as general lifestyle changes. Something that often comes up for people with panic attacks is the fear of fainting. A couple of years ago I attended a training session on delivering CBT for panic attacks – one thing which struck me was to learn that although during a panic attack you feel as though you will faint, you won’t. The reason is that for you to faint, your blood pressure would have to drop. However, during a panic attack, your blood pressure rises (this might also cause your face to flush). This simple piece of information is something I think is vital to pass on, as it is reassuring to sufferers – the fear of fainting and what might happen after seems to be quite high, so knowing that that won’t happen is one of a number of small steps towards reducing panic. If you would like to explore your panic attacks with me in therapy, you can contact me to arrange this. I thought about pain when I watched Star Trek: V a little while ago. If you don’t want to see spoilers, stop reading here. If you don’t know the storyline, click here for a synopsis. One quotation stuck out in particular. When Sybok has taken over the Enterprise, only Captain Kirk is left unaffected (the others being in some kind of blissful, dreamy state). Sybok attempts to win Kirk over in the same way he did the others – by taking away Kirk’s “pain”. However, Kirk fights against it. “Don’t take away my pain! I need my pain!” he screams. This raised an interesting question for me. Do we need our pain? The ‘obvious’ immediate answer would be, “No! It’s bad!” Bear with me. Pain, emotional and physical, is unfortunately an inevitable part of life. The question is, what do you do afterwards? How do you deal with that pain? Where do you channel it? Pain can spur us on to become angry, and anger need not always be destructive. Channelled appropriately, it can provide energy to right wrongs and fight for justice. Sybok’s mistake was not just to take away people’s pain and trauma, it was to do it without consent and in a way that took away a lot of the learning experience that could be gained by working through it at the person’s own pace. Then he used the gratitude people felt to him to bend them to his will (and steal a starship)… eek! Counselling cannot undo the past, it cannot remove sources of pain. What it can do is help people process, understand, accept and decide how to move on – and help you find and develop your own tools to manage pain in the future. 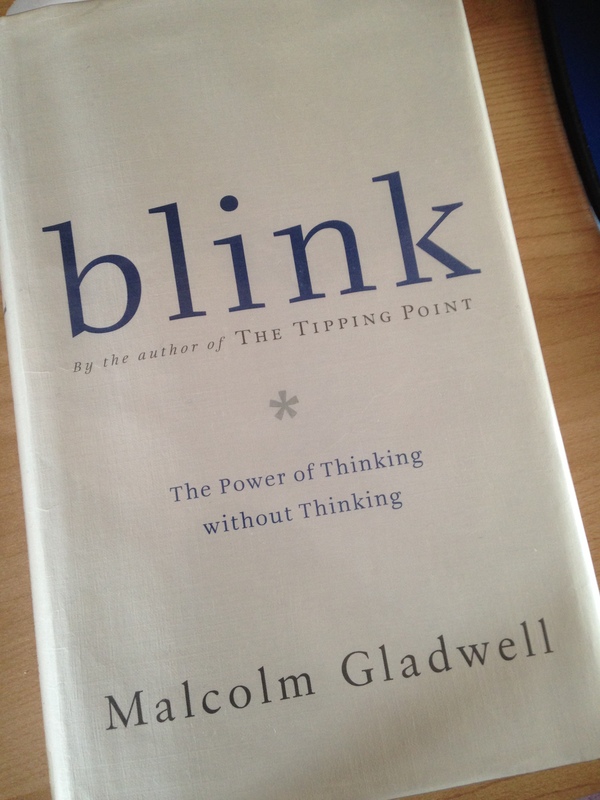 I borrowed “Blink” by Malcolm Gladwell from the library after seeing it reviewed elsewhere. Overall, I found it very readable and interesting. There is a lot of information about various psychological research studies and the academics who worked on them, as well as examples from various places of how experts in particular area (eg art) can make immediate judgements unconciously (what I might think of as “gut instinct”). One section I found fascinating was the part about “unconcious bias”. This is the snap judgements we make about people based on first impressions, often boosted by the attitudes of people and media around us. The Harvard “Implicit Associations Test” is available online and measures how far you are biased towards or against certain stereotypes of groups of people. It is well worth taking and considering the results – you might well be very surprised! I was fascinated to find out that unconcious biases are very difficult to combat on a concious level, but there are good results from attacking it on an unconcious level – that is, by observing people who break stereotypes and taking in that experience, rather than just telling ourselves or others about such people. The book makes the case that trusting those gut instincts can be very useful – and indeed, who doesn’t do this from time to time? Noticing that a car is moving slightly oddly so avoiding it and avoiding an accident, for example? However, the book also points out that the unconcious bias shows us that snap judgements and gut feelings can be mistaken due to upbringing or cultural beliefs. I think the message to take from this is that gut feelings are useful, but should be filtered and checked carefully before acting upon them. I believe that the unconcious has a lot of interesting and useful things to tell us, but we must be careful not to get carried away.